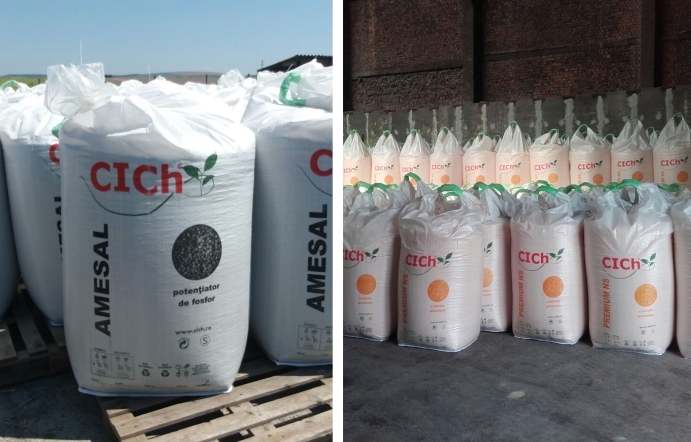 The main concern of SC COMBINATUL DE INGRASAMINTE CHIMICE SRL is to provide farmers with complex fertilization solutions, adapted to the needs of each farmer, with increased efficiency and contributing to the protection of the environment. Navodari Chemical Fertilizers Plant is located on the industrial platform with numerous storing spaces reaching at present a total capacity of approximately 200,000 tons. The storing spaces are represented by covered halls and covered platforms, being possible to store both packed and bulk products. The goods accepted in bulk may be packed within our company, in big bags of 500/600/1000 kg. 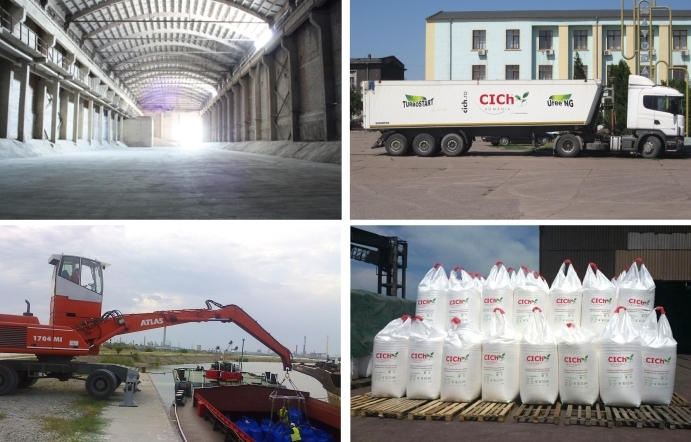 The access in the storing spaces of the plant may be made both by road and by railways, CICh Romania having its own railway network connected to the national network.